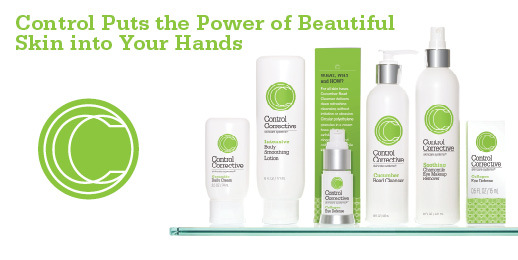 Control Corrective - Puts the power of beautiful skin into your hands. Puts the power of beautiful skin into your hands. This skin care line is all about TRANSFORMATION. 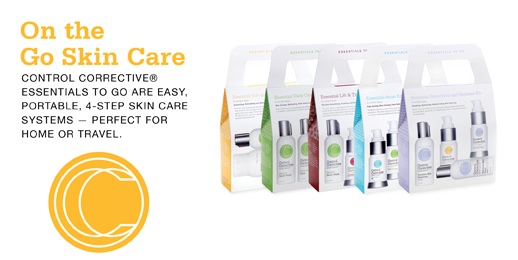 Offering comprehensive, collection-based skin care with a problem/solution focus, these formulas deliver real life results in a practical and accessible way. The 5 collections are color coded to make merchandising and retail selection easier. Power Tools offer even more professional options. 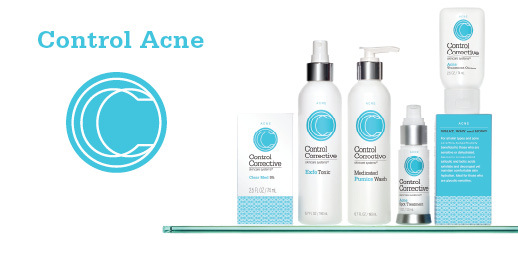 From education to treatment to home care, Control Corrective Skincare Systems delivers: Dedication to science, Consistent, dependable results and a Competitive price advantage. Beauty business visionary, licensed esthetician, skincare educator and formulating genius, Ellen Clark is renowned throughout the clinical skincare and spa business whether it be a luxury resort, self-employed esthetician or a physician's medi-spa. By helping spas expand into advanced corrective treatments, she guides them in building their businesses as well. As a young woman, Ellen initially became interested in esthetics because of her own skin problems, vowing to help others like herself. Spas as we know them today did not exist and in the 1980s; Ellen was one of the first pioneering entrepreneurs to open skincare clinics in multiple locations. 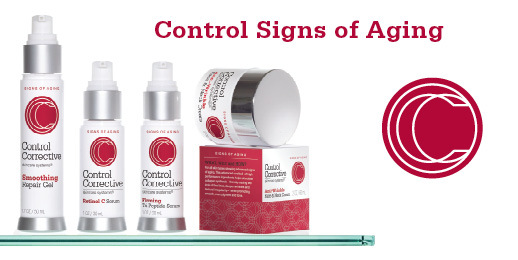 Seeing the need for an advanced skincare line that was also simple and easy to use, she developed Control Corrective Skincare Systems, a line that offers highly active formulations that are affordable and easy to incorporate as a primary or supplementary skincare line.